An article here in Zeit is interesting enough to provide a liberal translation of today, and fits well with all the others I have shone a light on showing geographic distance to often be the deciding factor in the languages a country or region chooses to place importance on. The title is of course somewhat exaggerated. 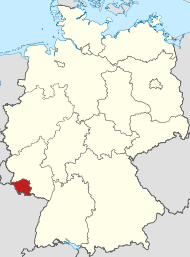 In one generation French in Saarland will be as common as German. The Minister-President Annegret Kramp-Karrenbauer hopes this will be a unique selling point for the underdeveloped state. A francophile herself, this emotional closeness to France is part of the reason she was appointed in the summer of 2011 to be the "delegate of the Federal Republic of Germany for German-French cultural cooperation" by Angela Merkel. 51 years old, she was born in Völklingen and speaks a "quite passable" French along with English and her Saarland dialect. She admits however that it is not quite fluent enough to be used in official functions, which is why there is an interpreter present. One of the letters of intent signed between border states in the two countries (Saarland in Germany, Alsace and Lorraine in France) is one signed in May 2013 for bilingual daycare centres. Right now in Saarland there are 180 facilities, and 200 in France, where children at three years of age can be raised bilingually. This approach is part of the strategy developed by Kramp-Karrenbauer and her SPD coalition partners for the state. The Francophile and highly indebted state intends to have a unique selling point within a generation of being bilingual, with comprehensive French lessons right from the first year of primary school. 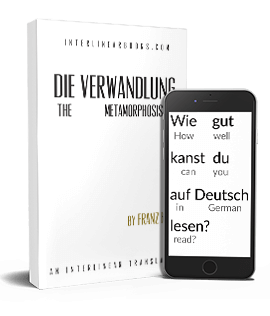 Two aspects will remain untouched, however: German as the sole official language, and importance given to English as the indispensable world language for business.